For women trying to get pregnant, having PCOS can be a major roadblock on the journey to motherhood. 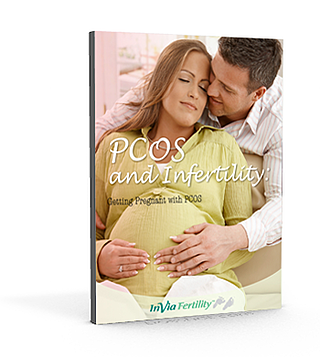 Learning about the symptoms of PCOS, ways to diagnose it, and treatment options is an important step in moving forward. Download this eBook today, and get closer to your dream of starting or expanding your family! Vishvanath C. Karande, M.D., trained at the prestigious Jones Institute for Reproductive Medicine at Eastern Virginia Medical School in Norfolk, Virginia, where the first in vitro fertilization baby was born. Dr. Karande is Board Certified in the specialty of Obstetrics and Gynecology as well as the sub-specialty of Reproductive Endocrinology and Infertility. Sigal Klipstein, M.D., F.A.C.O.G., is Harvard-trained and Board Certified in the specialty of Obstetrics and Gynecology, as well as Reproductive Endocrinology and Infertility. She is Chairwoman of the committee on ethics of the American College of Obstetricians and Gynecologists and Member of the American Society for Reproductive Medicine.